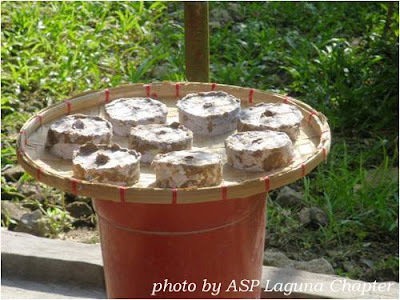 The National Council on Disability Affairs or NCDA granted the amount of Php30,000 to revitalize the paper briquette enterprise of ARC, ASP Laguna. Ms. Ruth Tacujan, a Program Officer at NCDA, saw the potential of the enterprise during the Regional Council on Disability Affairs (RCDA) 4A visit to ARC last August 18, 2011. 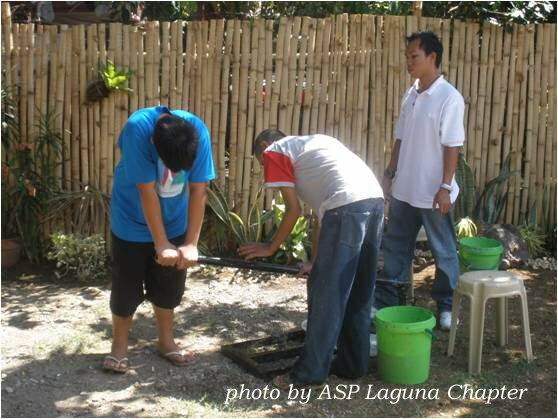 Immediately, a project proposal was made by the Chapter and submitted to DSWD Usec Alicia R. Bala. In November 2011, the project was approved for funding and funds released. The production of the paper briquette involves at least six (6) individuals, each with their own interests and strengths. Two young adults with autism and 1 with cerebral palsy do the paper tearing, 1 young adult with autism does the soaking and pressing with the assistance of a caregiver, and 2 young adults with mental retardation do the packing and labeling under the supervision of a job coach. It was one of the enterprises developed by ARC for its young adults during the implementation of the Work, Live and Play Program which was funded by United Parcel Service (UPS) from June 2009 to May 2010. The paper briquette making was shared by the Senior Citizens Association of Barangay Batong Malake through its President, Mrs. Mercedes Palad, and later on polished by Kagawad Jun Montemayor. Prior to venturing in the paper briquette enterprise, in October 15, 2009, ARC conducted an experiment using charcoal and paper briquette to cook rice, soup and fish. 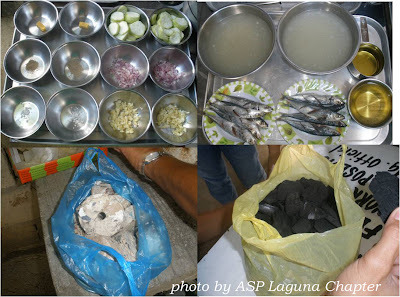 Ten pesos worth of charcoal and ten pesos worth of paper briquette were used to cook, using exactly the same conventional clay stoves, cook wares, and raw materials. For details of the results of the ARC experiment, please call 049-536-0655. The funds given by NCDA will be used in acquiring suitable briquette pressers, drying mats and a prototype stove that is appropriate for use of paper briquette as its source of fuel. With the rising price of LPG and the continuing denudation of our forests to produce wood charcoal, the paper briquette is definitely a wise alternative of saving money and saving our environment as well. And what is even wonderful, we make our young adults with different exceptionalities do productive and meaningful work! You can contact ASP Laguna Chapter President Riza Cansanay at 0918 577 7940. Be an Angel for Autism. Donate generously to ASP Programs and Services. Donate to Autism Society Philippines Metrobank Kamias Branch 047-3-04751874-2. Email us at autismphils@gmail.com or call 9266941 / 9298447.